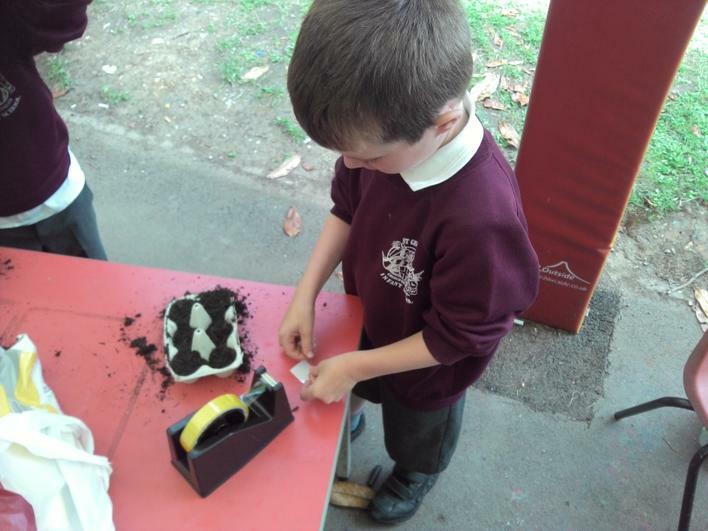 For Enterprise week, the children had to come up with a idea for a product, make the product, advertise and then sell the product. Saturn class are very interested in superheroes and princesses so we came up with an idea to make key rings and bracelets based on their favourite ones. Mrs Pearce ordered what we needed and explained that this cost would be deducted from our final profit. 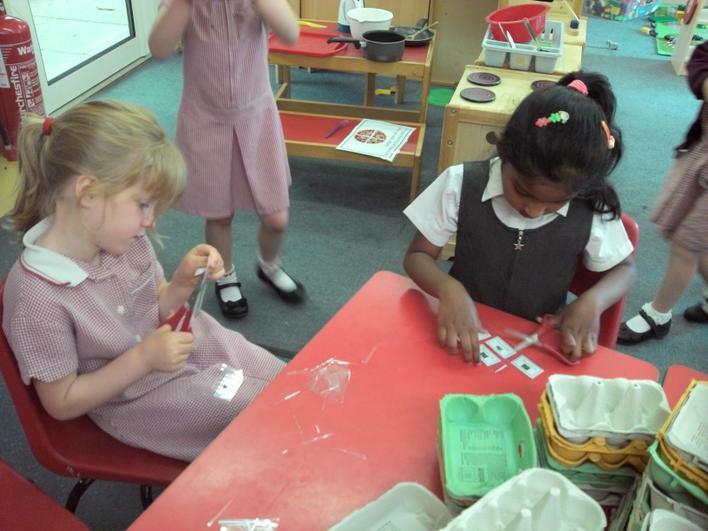 The children spent the week busily threading beads to create a variety of key rings and bracelets. Our knowledge of repeating patterns really helped! 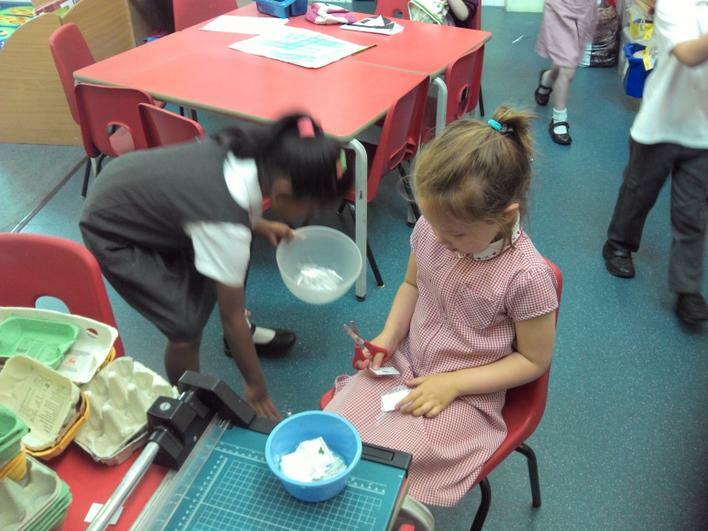 On Friday in their Big Writing, the children thought about how they could persuade people to buy their product and they made persuasive posters and signs. These were displayed around the stall to make it more attractive. Mrs Pearce and Mrs Jaskowski set up the stall ready for the sale. 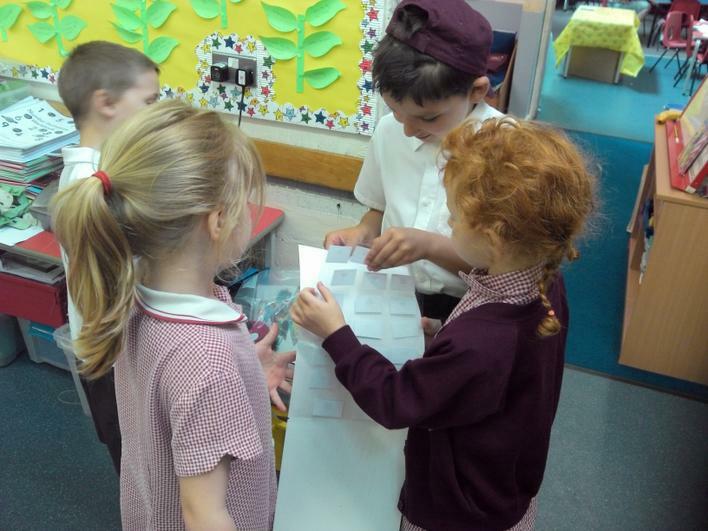 The children had a look and gave a thumbs up or down if they were happy. Of course, all thumbs were up! Four children were selected as part of the sales team and had a prep talk about their tactics before going into the hall with Mrs Howard to sell. 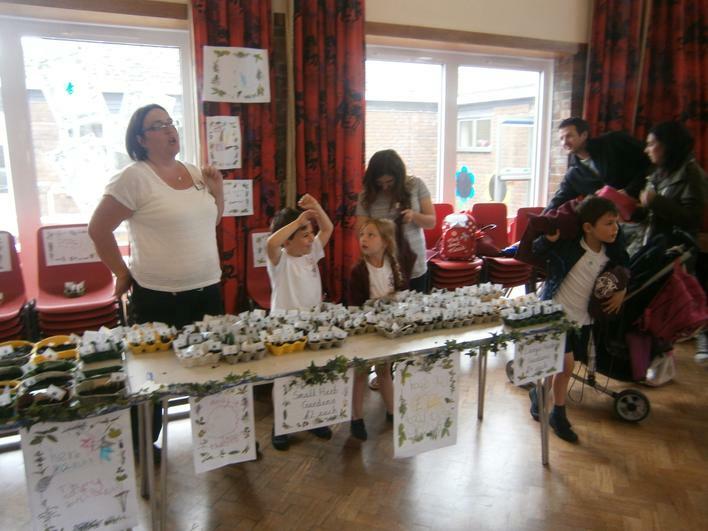 The children did a brilliant job and over half of our stock was sold. They reported that there was a constant queue of people wanting to buy the key rings and bracelets and that there were many happy customers! 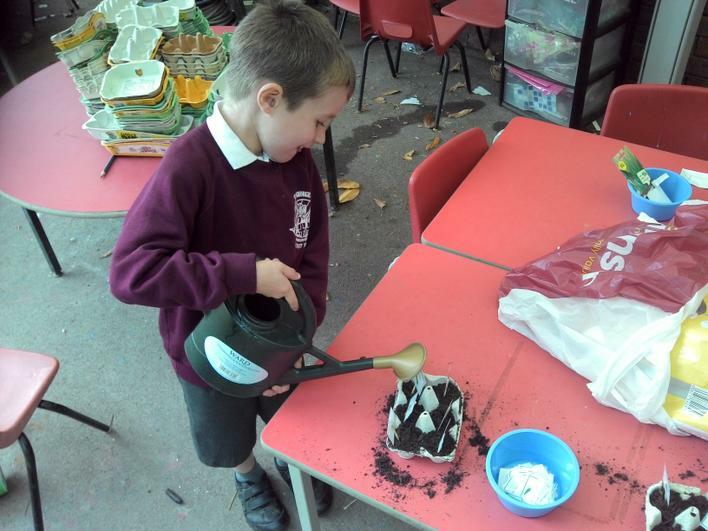 Neptune Class love gardening and cooking so we decided to make herb gardens to sell. 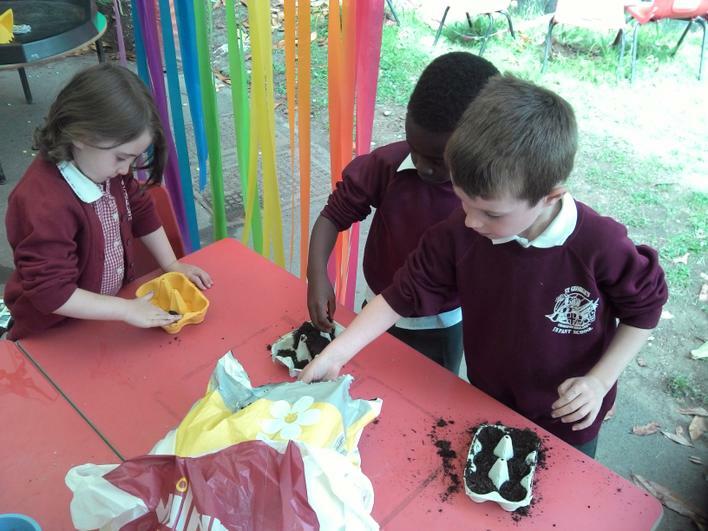 Miss Taylor went shopping for compost and seeds. 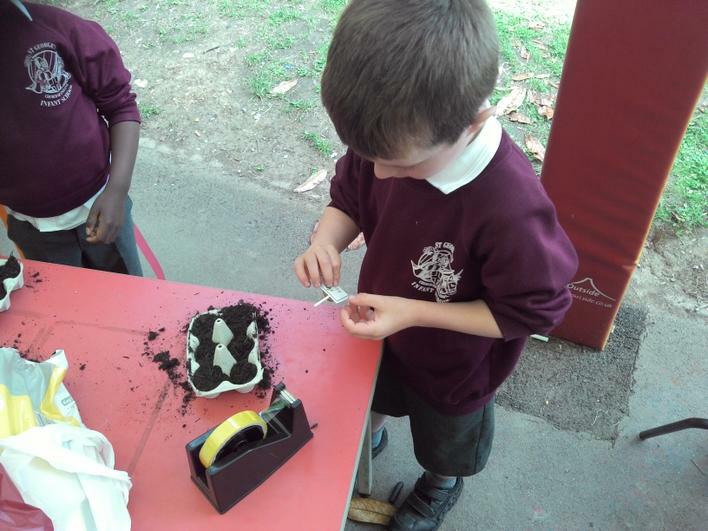 We asked for donations of egg boxes in the school newsletter to make our herb gardens in, we were given over 60! 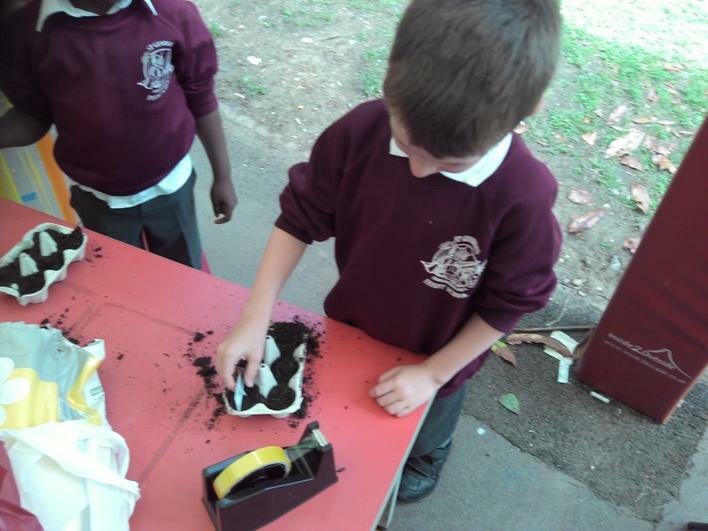 We learnt that the more herb gardens we made the more money we would get. 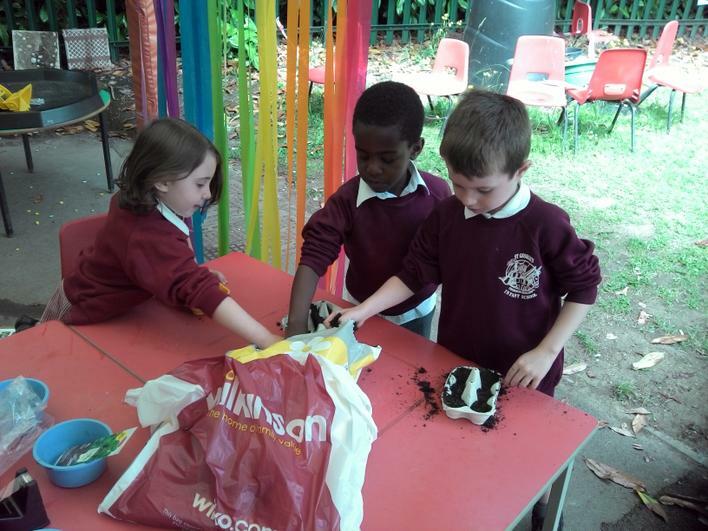 Miss Taylor had bought the cheapest compost and seeds to keep our costs down to make more money. We talked about how we could use the different herbs in cooking, suggesting coriander in soups and curries and cress in sandwiches. 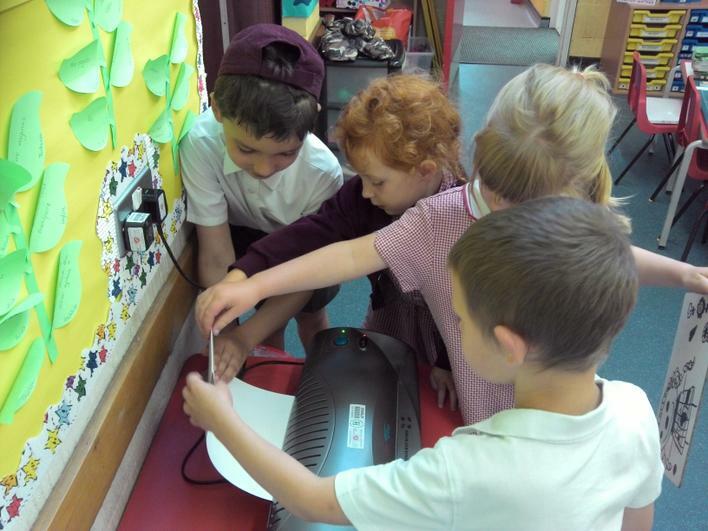 On Friday in Big Writing we created posters for the sale. 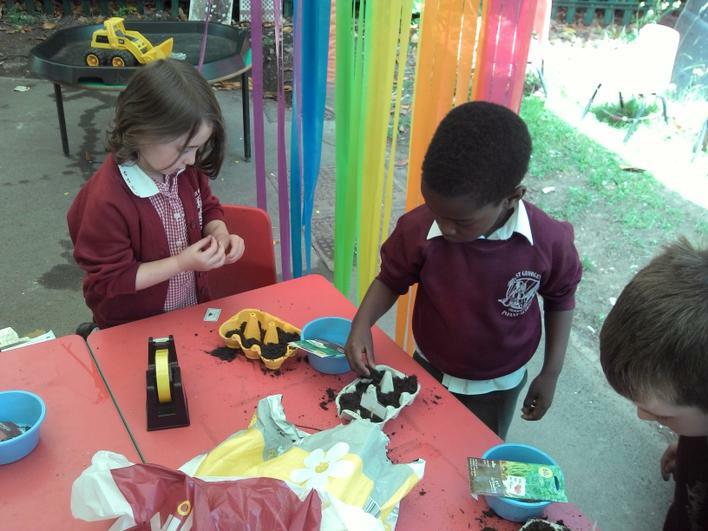 We thought about words to describe our herb gardens including crunchy and delicious. A few of us helped to set up our stall in the hall at lunchtime. It took a long time to bring all our herb gardens into the hall as we had made over 100! 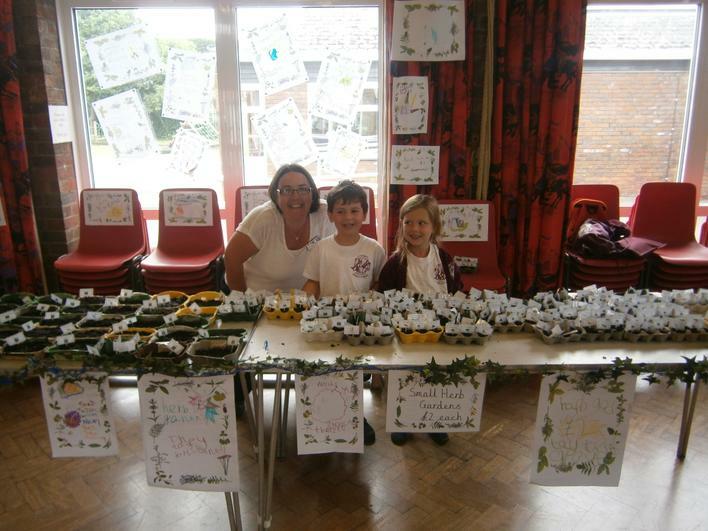 Our herb gardens were displayed on two tables and our posters decorated the stall. At the end of the day our sales team went into the hall with Mrs Bath to sell. 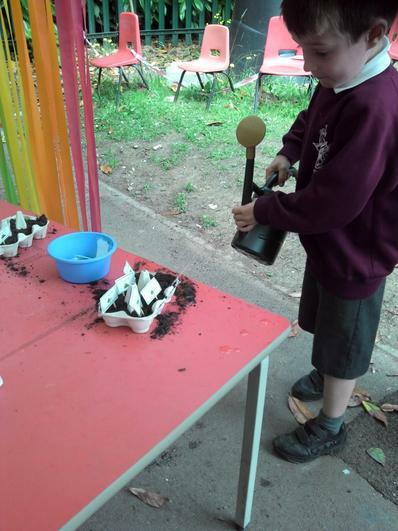 We had lots of fun selling and are pleased to report that although not all of our herb gardens have been sold yet we have already made a good profit. 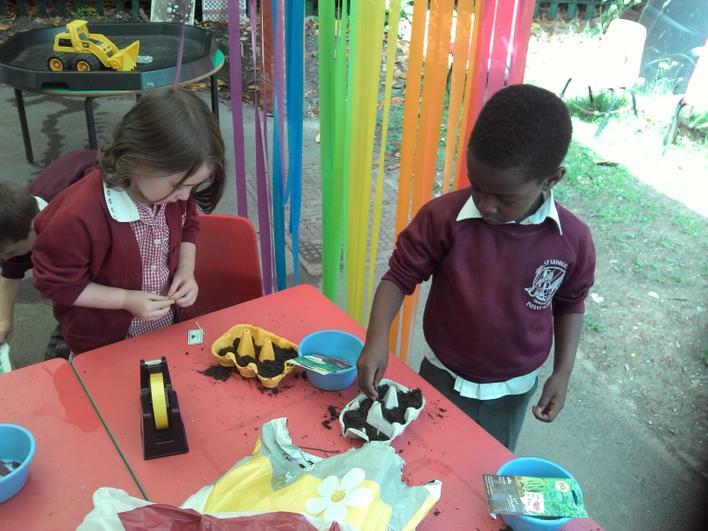 You can still buy our herb gardens, so bring in your money, you won't be disappointed!